In a November 2010 dialogue between Japanese Prime Minister Kan and U.S. President Obama, the two leaders expressed a shared vision of strengthened relations through enhanced cultural understanding. Made possible through a partnership between The Japan Foundation and Laurasian Institution, the Japanese Language Education Assistant Program (J-LEAP) was the result. 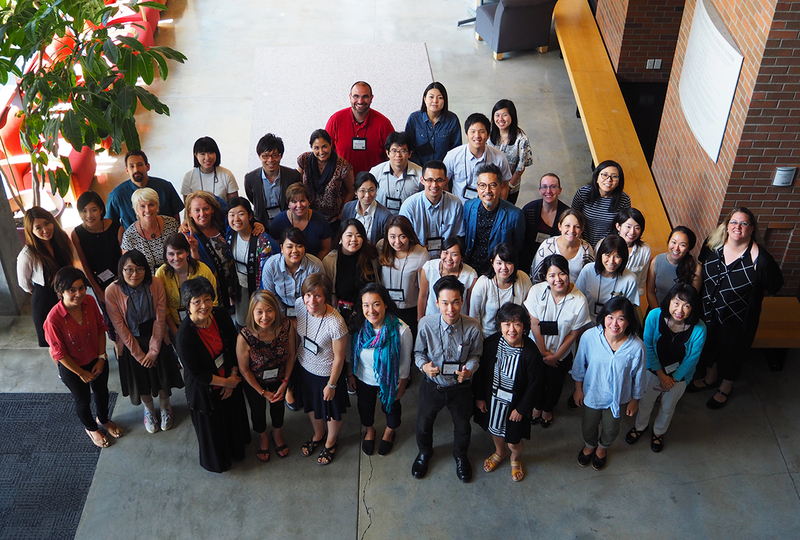 Through Japan-to-America teaching assistantships, J-LEAP nurtures a new generation of qualified teachers of the Japanese language. These young teaching assistants not only serve as native speakers in the U.S. classroom but also add young adult voices to the school and community—strengthening ties between the two countries in the process. Through their participation, American K-12 schools develop stronger Japanese language programs, promote cultural exchange, and invest in the skills of their language teachers. At the end of the two-year J-LEAP cycle, Lead Teachers are able to create and deliver standards-based unit/lesson plans using backward design, teach in the target language, and effectively assess student performance. Assistant Teachers develop the skills to effectively team-teach, share their understanding of U.S. culture and education back home, and kick off their career with experience and confidence. As for students, the unique learning experience can create a spark that leads to a lifetime of learning. Indeed, the ripple effect of any one school taking the "LEAP" is invariably impressive, important, and something we're always eager to speak with educators about.